Apple on Friday rolled out a much requested developer tool that allows app makers to generate and share in-app purchases promo codes, allowing testers, press outlets and others access to gated app features. Announced through Apple's developer webpage, the new iTunes Connect feature lets outside parties try out for-pay app functionality after a title goes live on the App Store. 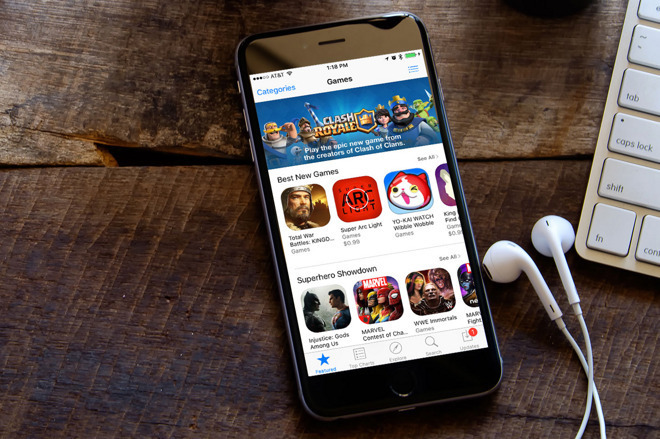 Apple has for years allowed developers to generate App Store promo codes for downloading apps, but in-app purchases remained a restricted domain until today. It appears Apple is positioning the in-app promo code system as a way for developers to promote their wares to press and social media outlets. Under iTunes Connect guidelines, developers can give away up to 100 promo codes for each in-app purchase item, up to a maximum of 1,000 codes per app, Apple says. An accompanying support document notes in-app purchase codes automatically trigger a download for free host apps if they are not already installed on a user's device. Paid apps follow a different process that requires users download the app —or redeeming a separate promo code —before redeeming the purchasable item. The iTunes Connect change comes amid a wider effort to promote apps within the App Store. For example, Apple earlier this month released Search Ads, an intelligent advertising feature that positions paid app promotions at the top of relevant iOS App Store search results.